Not long ago, people had no idea that there are other solar systems and galaxies similar to ours. Today science has discovered that our Universe is, most likely, not the only Universe on the bigger picture of reality. We actually live inside a Multiverse, a system of different universes that expand and interact with each other. This might be a crazy thought to grasp, but that’s just the tip of a very strange iceberg. Scientists claim that there are 4 possible types of a Multiverse that we might be living in, and each of them is as wondrous as the others. You’ve probably heard about the theory that when our Universe was first ‘blown’ into existence, The Big Bang, it started inflating like a bubble. The truth is that our Universe is continuously expanding. But what if it’s not the ONLY bubble that is expanding! 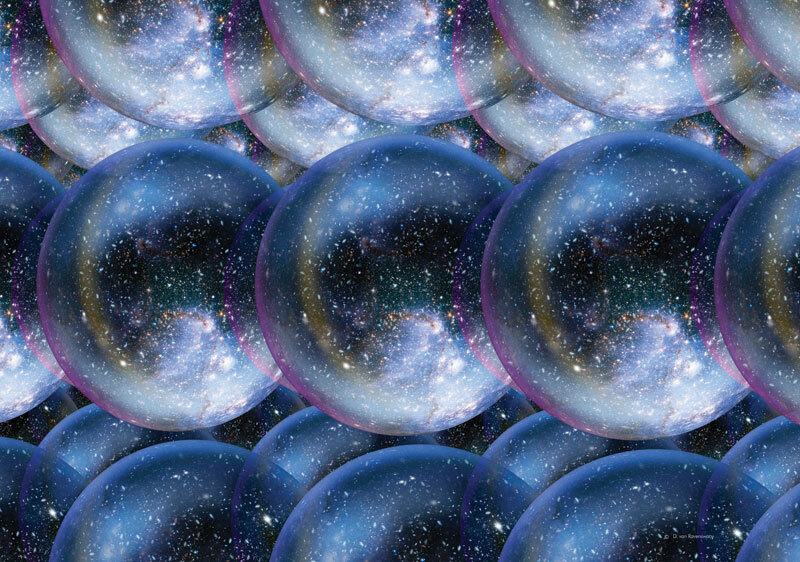 The Inflationary Multiverse is a type of a Multiverse where an infinite field of energy exists from which countless bubbles spark into existence. This endless field of energy exists outside of time and space and each bubble that’s created might consists of different physical laws. This type of a Multiverse reminds me a lot of the Taoist concept of TAO, the thing which was before there was anything existing. Before The Universe came into existence, there was an endless field of energy. In this type of a Multiverse there is really just one Universe but it is truly infinite! It’s so infinite that if you, somehow, are able to search through the infinite space, you will eventually find another galaxy with another sun and another earth that is exactly the same as ours. You might even find another Earth with a person that’s completely the same as you. This is possible because in an infinite space with infinite number of probabilities, theoretically, there could be infinite amounts of everything. Theoretically, there could be a galaxy where the Star Wars saga, or something really similar, is a reality. 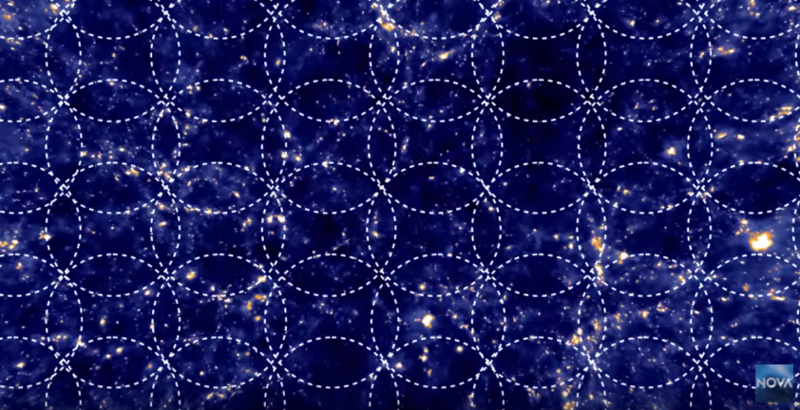 However, because The Universe is expanding in all directions and nothing can travel faster than light, we might never be able to travel outside of our existing zone even if we started traveling at the speed of light since the beginning. 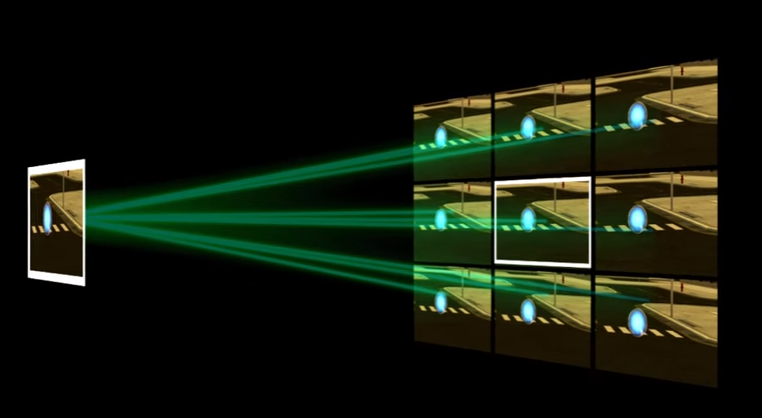 The quantum world is probably the strangest world scientists ever observed. In the quantum world different laws of physics take play, laws that confuse many of the smartest minds. When you want to observe an electron it cannot be clearly predicted where its position is. It is kind of in all the possible positions at once. However, once you take a picture and observe it, the electron strangely chooses to be only in the observed position. In The Quantum Multiverse all of the positions the electron can be observed at exist all at once, but in different Universes. And with our choice and observations we literally move through all of these Universes creating our own custom made pattern. Any time you observe something you choose The Universe from the many given possibilities. We are just consciousness that voyages through the Universes inside the infinite Multiverse creating its own experience. Imagine a 3 dimensional book with 2 dimensional pages. Think of our Universe as one of these pages. Now think of this book as being 10 dimensional and our Universe exists on a membrane, or brane for short, that is actually embedded in 10 dimensions. In this 10 dimensional book, our membrane is not the only one. Just like in a regular book there are multiple pages, ‘The Multiverse Book’ consists of other universes that overlap each other. This is called The Brane Multiverse. Some theorize that black holes might be holes inside these ‘pages’ that might eventually send you to another page of this infinite ‘book’ or even outside of it. But what’s outside of this book? Is it possible there are more books? Other Multiverses? Could there be a 5th type of Multiverse? 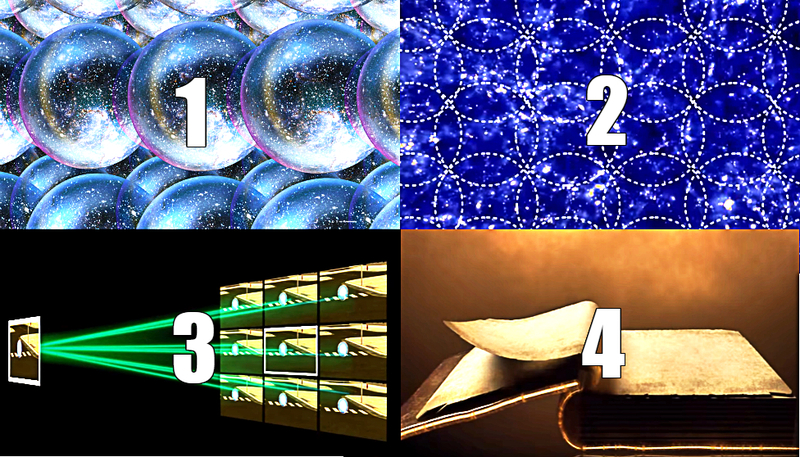 According to scientific theories these are the 4 models for The Multiverse. However, what if all of these models exist, all at once? Maybe we really live inside an infinite Universe that was sparked from the endless pool of energy that existed before everything else came into being. But what if this Universe is not infinite just in space, but also in the ways consciousness can experience it. Just like an infinitely big TV with infinite number of channels. And each our choice and conscious observation creates a custom pattern from this double infinity, which kind of makes the symbol for infinity have a lot more sense for some reason. And to have our minds blown even more, maybe all of this is just one multidimensional page inside a 10 dimensional book consisting of infinite number of infinite Universes with infinite ways to experience them. What do you think? What type of Multiverse are we most likely living in?